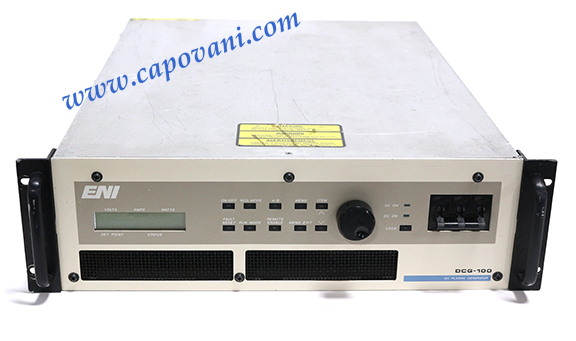 In addition to this ENI Power Systems DCG-100, Capovani Brothers Inc stocks a wide range of used DC Magnetron Power Supplies. Typical manufacturers include Advanced Energy, ENI Power Systems, Huettinger, Spellman and TDK Lambda. "Regular Z", output taps for 500V/625V/800V, specify voltage when ordering, please!